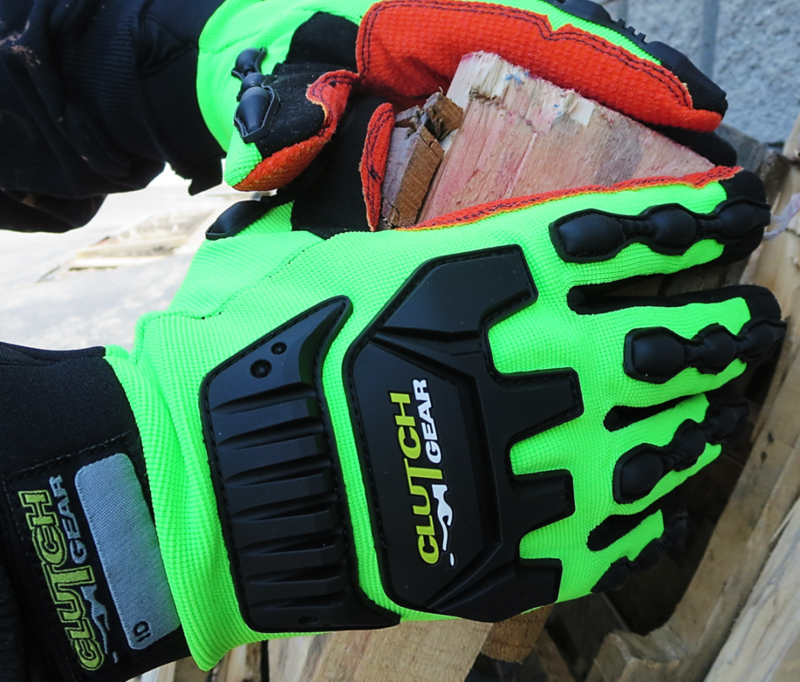 Superior Glove® has created the Clutch Gear® series of industrial work gloves - a line of rugged and high-performing hand protection that mechanics, industrial technicians, plumbers, carpenters, landscapers, oil/gas and construction workers have come to appreciate and rely on for personal hand safety. Individuals who work with sharp or heavy metal objects are prone to hand injuries resulting from impacts or cuts that occur when reaching into tight working areas, often with tools. A perfect example of this would be an automotive worker working on the engine with a wrench. As the tool is manipulated, a slip or fast crank can cause the hand to unexpectedly strike metal surfaces or components which can lead to personal injury. A high quality, rugged mechanic glove can offset hand injuries but it is important to match a glove with the task. With Superior Glove®, they offer almost 40 styles of ergonomically designed Clutch Gear® Brand Mechanic Work Gloves so you can be assured they have a glove to suit your need. Constructed with different features, below are some of their most popular styles. Mechanic gloves that feature impact-resistance typically incorporate an exoskeleton along the finger and knuckle regions. Welded to the back of the glove’s surface is either a dense, thermo-plastic foam rubber (TPR) or for severe impact threats, the new bright orange D3o® technology. Both forms are designed to protect the back of the hands with D3o® providing elevated levels of impact protection. The purpose of these guards is to absorb and diffuse a direct impact from crushing the metacarpal bones without prohibiting the full range of hand movement. Superior Glove® is a specialist in cut-protection and they offer a range of glove choices, from synthetic leather, to supple, washable suede in various levels of certified ANSI cut ratings. Check out their mechanic gloves featuring Punkban™ puncture and needle-stick protection. A pioneering breakthrough, Punkban™ has been made possible by bringing together innovative, leading edge textile technology to combine spinning and weaving of Kevlar® by a unique method pioneered by Superior Glove®. The resultant puncture resistant woven fabric is light and supple! High-viz colors on a worker adds to lower accident rates and less fatigue for the workers hands, increasing productivity. A bright glove color also calls constant attention to hands as they work lowering the opportunity for personal injury while increasing focus. Safety coordinators who monitor PPE will agree that hi-viz gloves are a great way to do visual checks on workers during their shift or for hand signaling in the field or in traffic. It is especially important to protect your hands as, when the temperature drops, your body will naturally move blood away from your extremities. Working in cold conditions and adverse weather environments calls for an additional layer of warmth, especially when working or handling metal components. Superior's cool-weather mechanics gloves are constructed of lightweight yet strong man-made and natural materials for durable warmth. Popular because of their versatility, styling and comfort, they are a great choice for those seeking a warm, dexterous lightweight winter work glove. Selections include Thinsulate®, fleece or laminated foam linings. Working with water-logged gloves make the hands feel heavy and this can lead to hand fatigue. Hand fatigue often contributes to losses in productivity or accidental slippage of sharp or heavy items both of which could lead to serious workplace accidents. Superior Glove® Clutch Gear® Waterproof Mechanic Gloves feature special membranes that provide barrier protection against wind, rain, and snow. Keep the hands dry, warm and increase safety with a style to suit your needs.